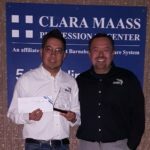 BRINIA MONCADA IS DECEMBER’S RISING STAR EMPLOYEE OF THE MONTH! Brinia Moncada, BRAVO! 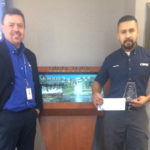 employee from our New Jersey Region has been awarded “Rising Star Employee of the Month” for December 2017. Brinia works at the Morris Corp location in Parsippany NJ. Brinia is a great employee who completes her assignments on time. Thank you Brinia for going above and beyond!